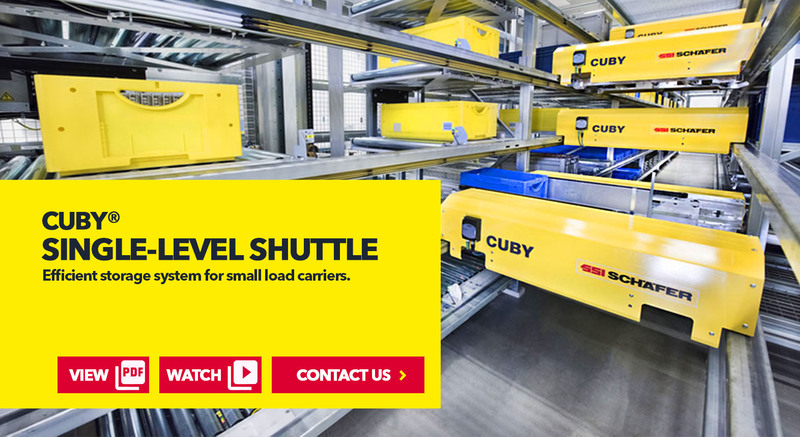 What is CUBY® Single-Level Shuttle System? The ingenious use of the support beam as a guide for the shuttle‘s load handling device is one of a kind. 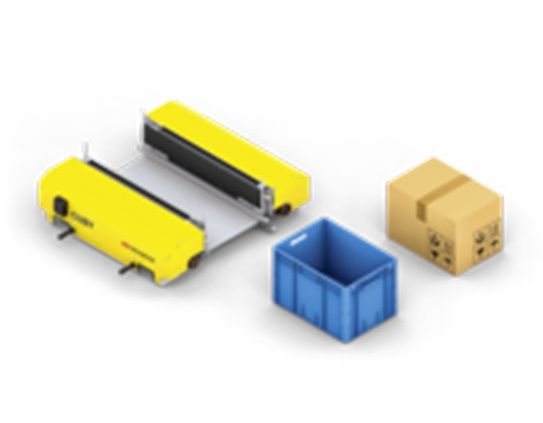 A scalable lifting system with double-story function ensures high performance and compact system layouts. 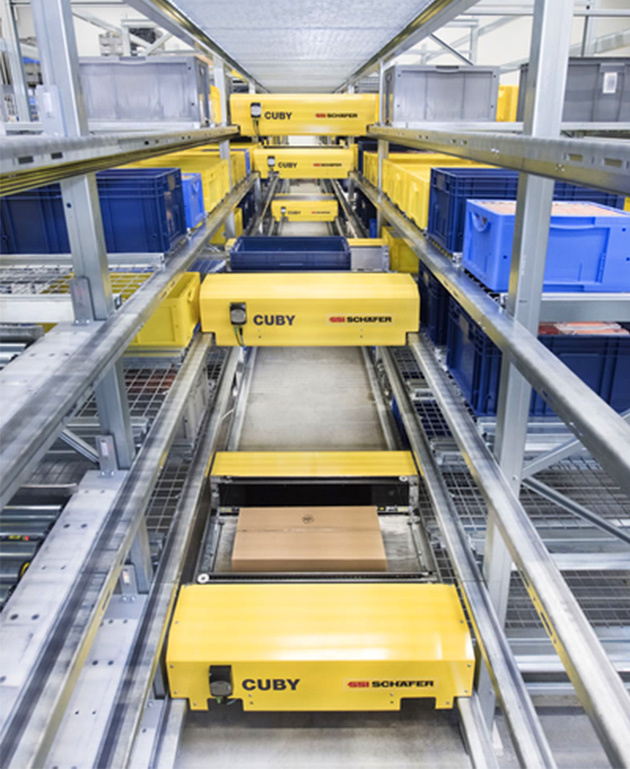 Cuby consists of a rack, at least one lift, one shuttle per storage level, a shuttle crane at the back, maintenance platforms (lift platform and control cabinet platform at the front and access platform at the back) and the control and warehouse management software. 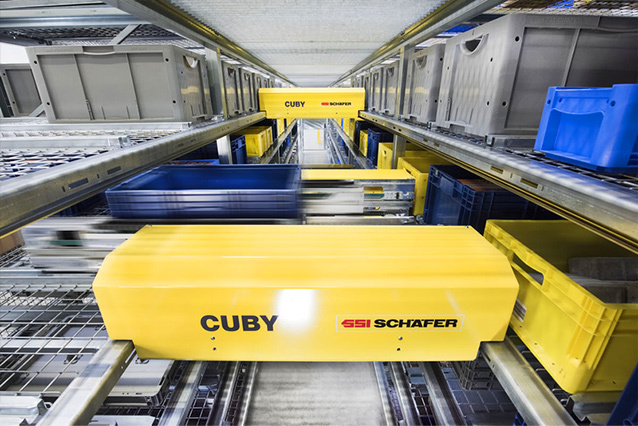 In developing the Cuby, SSI Schaefer optimized the functional distribution between rack and shuttle so that fewer sensors and actuators on the shuttle and load handling device were necessary. This renders the Cuby more reliable and cost-efficient than other one-level shuttle systems on the market. Height: 6 to 15 m with 8 to max. 36 storage levels. Length: 20 to 100 m with more than 25,000 storage locations per rack aisle. Unlimited number of rack aisles possible. Considerable gain in efficiency by double cycles for storage and retrieval. Additional performance increase thanks to two lifts per rack aisle. 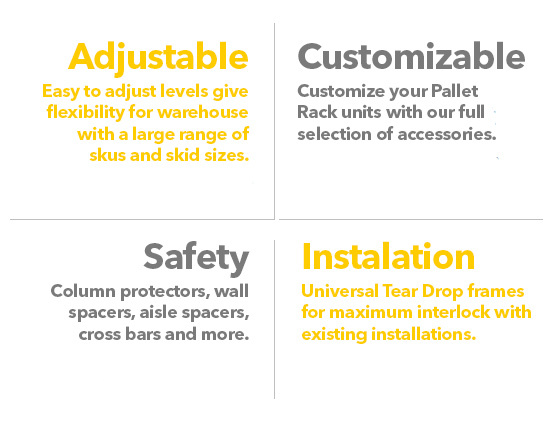 Optimized rack versions for storing cartons or bins with optional combinations. The main advantages of shuttle systems are their flexibility with regard to capacity and high performance. The Cuby can be scaled for a length of up to 100 m and a height of up to 15 m and an unlimited number of aisles. Thus, it provides the maximum possible storage density due to its narrow tracks for the single-deep shuttles and optimum space utilization of the rack lines with double-deep shelves and an extremely low level spacing. Flexibility also means being able to adapt to existing hall structures and integrate, for instance, existing columns. Excellent space utilization by double-deep storage in connection with a single-deep aisle and minimized vertical distance between two rack levels. System designed for high availability (guiding of the extended load handling device and stable construction). Watch SSI SCHAEFER CUBY® Single-Level Shuttle in action! Robust, proven components ensure high system availability. The system also contains a high degree of standardization and offers the best possible accessibility for maintenance and service tasks. The rack has also been optimized in terms of fire protection. Instead of the usual rack shelves, gratings are used so that the water in the sprinkler system can easily run down several levels. On the whole, the system provides a very attractive performance for a wide range of applications in different industry sectors due to its ability to optimize the lift and shuttle performance with the conveying system in the pre-zone and the goods-to-person work stations. 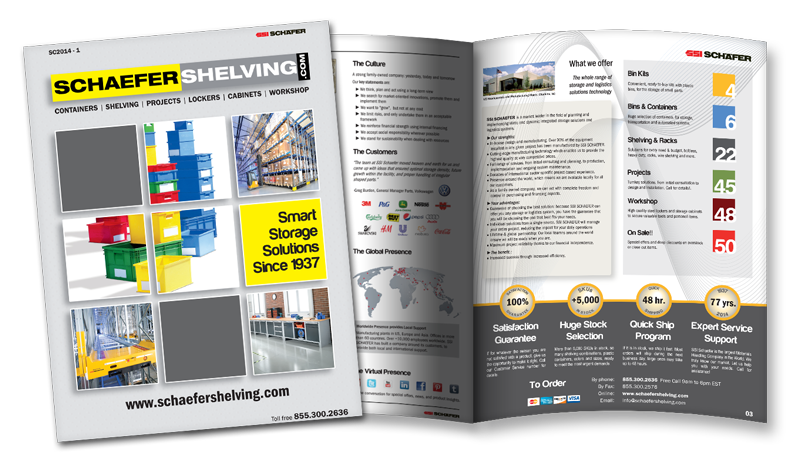 "SSI Schaefer offers everything from a single source - from racks to shuttles and lift, to electro-mechanical installation to IT," summarizes Robert Fankhauser.